You are here: Home / Crochet Other / Reviews / Book Review / It is Time For Us to Make Some Slime! 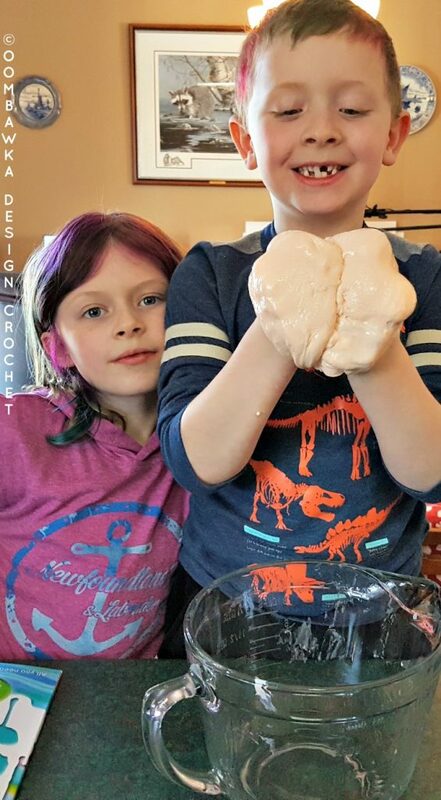 My daughter has been asking me for weeks if we can make slime and now that it is March Break, it is time for us to make some slime! 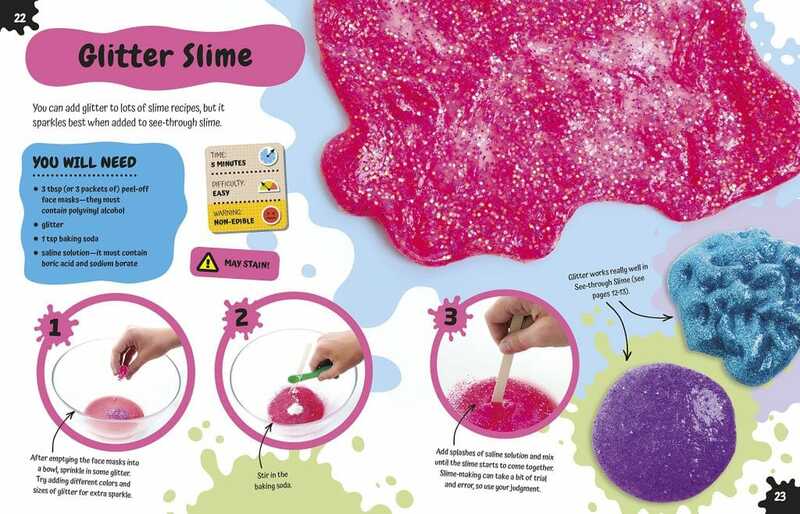 Who would have thought there would be so many different ways to make slime? I certainly did not! 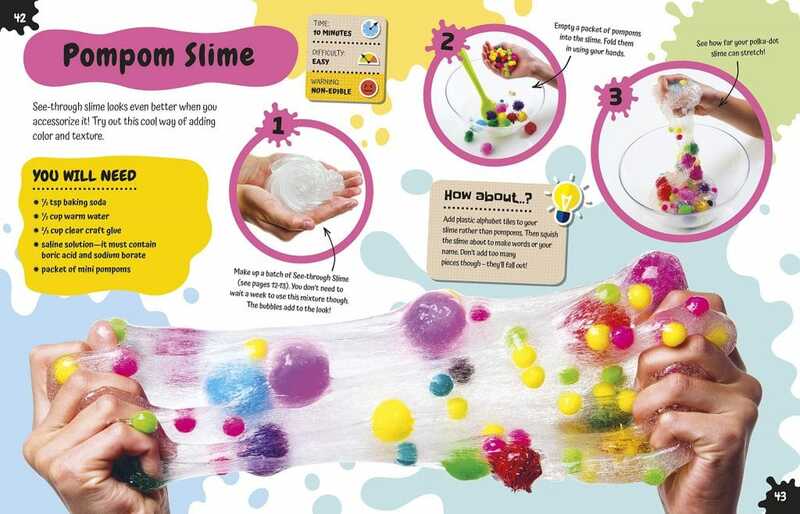 The Slime Book includes more than 30 recipes to make a variety of different types of slime. The recipes included use safe, easy-to-find ingredients that are Borax-free. 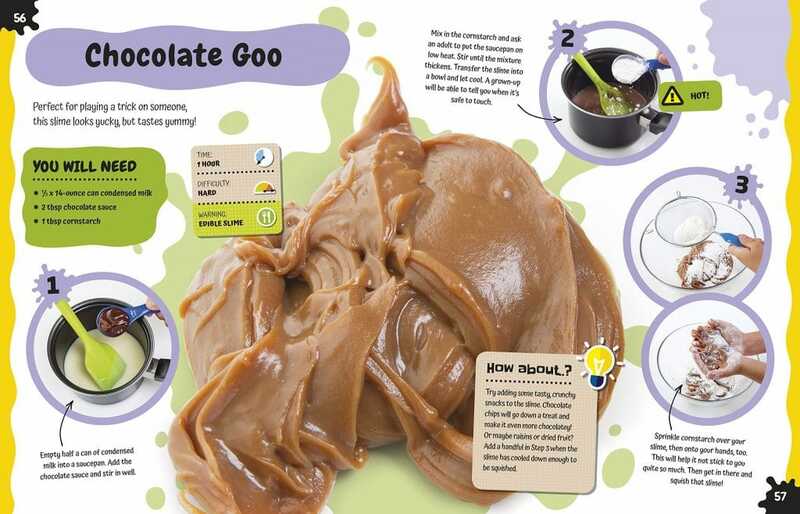 The types of slime included are separated into 2 main categories: Nonedible Slime and Edible Slime. Just in case we have any younger readers who found my post by searching for slime on their Chromebooks today, “nonedible” means DO NOT EAT IT! 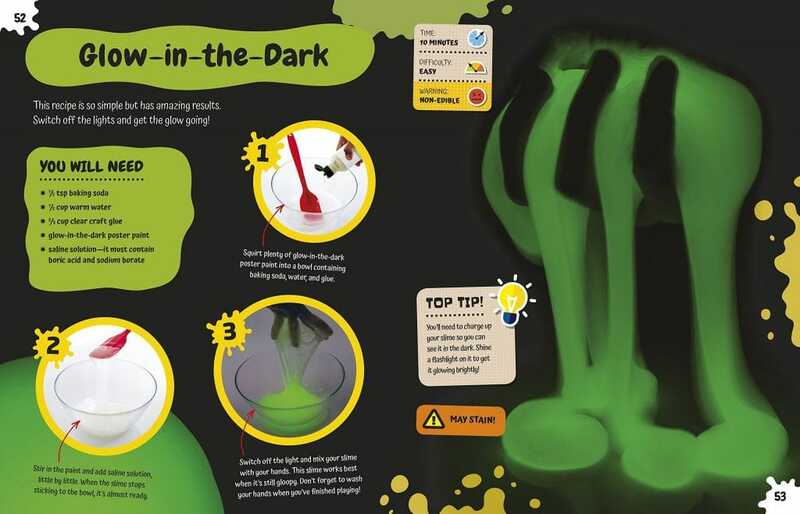 The book concludes with a chapter about how to store your slime, how to clean up and hints and tips. I recommend you START by reading this section! The slime we chose to make (first) is the Stretchy Slime. I picked up the supplies yesterday so we would have them on hand to make our slime this weekend. We made 2 batches, one for Darla and one for Drew. 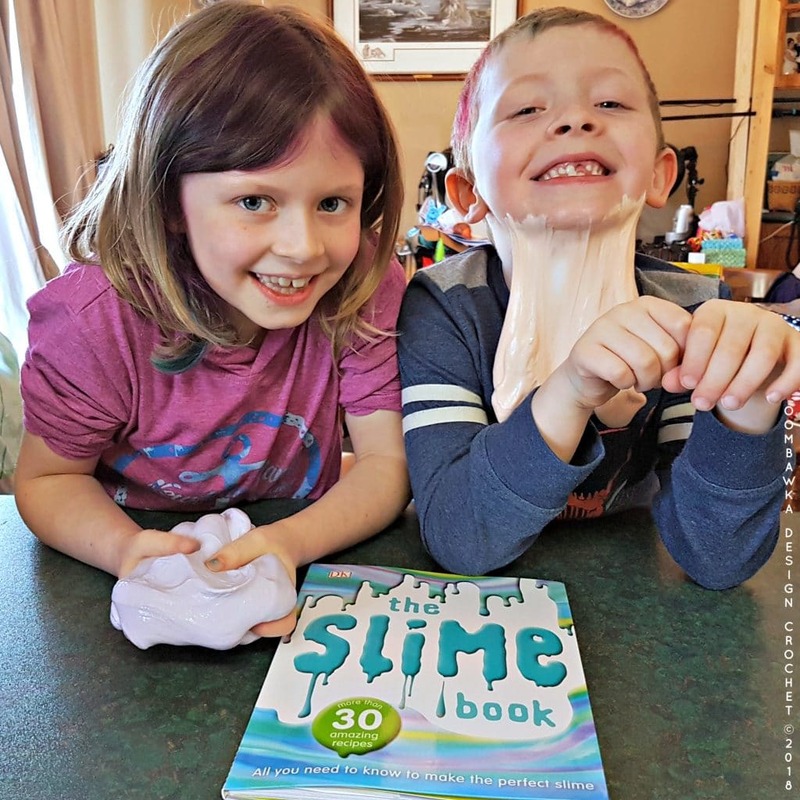 Our slime ended up a bit sticky so it was a good thing we read the hints and tips! We added more of the contact lens solution to fix our sticky issue and it worked out perfectly. 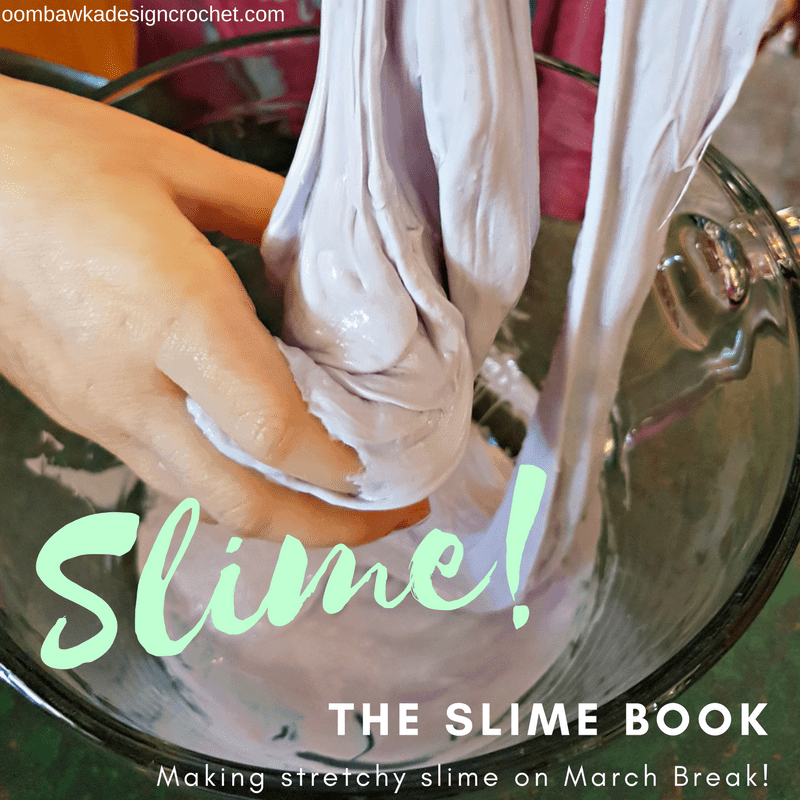 The Slime Book is a great book to have on-hand. We had so much fun making our slime! These quick to make recipes are child-friendly and use borax-free ingredients. Some are edible and some are just plain fun to play with! You can make these at birthday parties, slumber parties, or even to give away in small containers as gifts in party bags for your friends. Or, like we did, you can just spend a fun afternoon with your children making something they want to make and have fun doing it together! 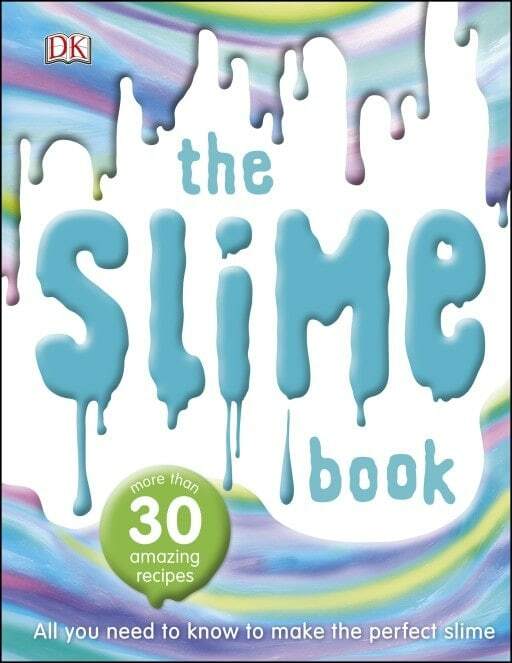 You can purchase your own copy of The Slime Book directly from Amazon.